Two dozen people were arrested by U.S. Customs and Border Patrol officers Tuesday after they scaled the U.S.-Mexico border fence in Tijuana and entered the country illegally. It was the second border breach incident at the same spot along the border in five days. 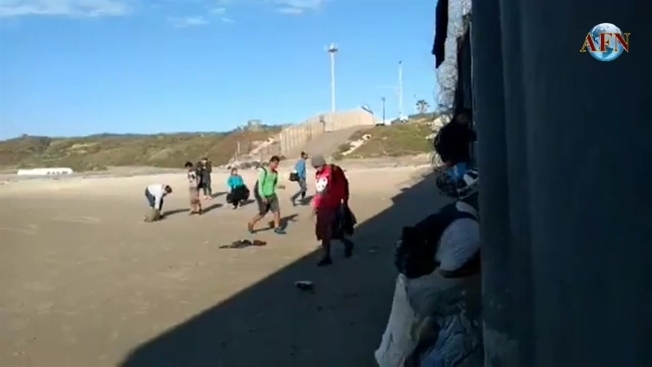 Video shot from the ground by Joebeth Terriquez with Agencia Fronteriza de Noticias shows a large group gathered at the fence in Playas de Tijuana, a beach community opposite the border barrier from International Friendship Park in the southwestern-most corner of San Diego. People were seen climbing to the top of the fence and pulling others up behind them. CBP said officers arrested 24 people, including 18 men and six women, and transported them to a nearby Border Patrol station for processing. One among the 24 arrested was a Guatemalan national and the other 23 were Honduran nationals, according to the CBP. 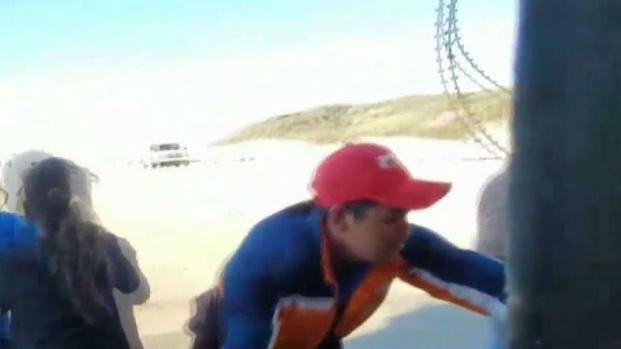 CBP said the Tijuana Police Department responded to the beach and dispersed the remaining crowd. A similar incident happened at the same spot just five days prior and was also captured on video. More than 50 people were detained after funneling through a hole in the barrier last Thursday, March 14. Video courtesy of Twitter user @MexicanAndyCx. Twitter user @MexicanAndyCx was recording at Playas de Tijuana where a group, which CBP officials said was made up of about 60 people, was crowded near the border fence. One man in the group appeared to cut a section of mesh in between two slats of the border fence. A woman appeared to kick the material in the same spot. 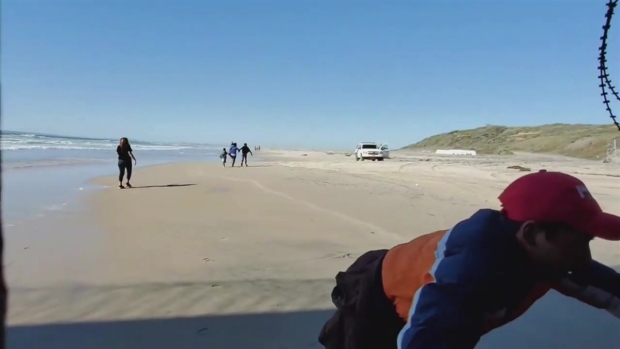 Seconds later, about half the group, including young children, can be seen slipping through the fence and running north on the beach. As dozens slipped through, a marked CBP SUV turns on its siren and begins driving in the same direction. As the SUV drives away, people continue to slip through the border fence and run into U.S. territory. CBP said additional agents responded as the other half of the group slipped through the fence. In total, 23 men, 12 women and 17 children and teenagers had been arrested and transported to a border patrol station for processing. At least one of the children detained was as young as one year old, the agency said. A video showing migrants breaching the U.S. Mexico border is being used as evidence for the need for a new and improved border wall. NBC 7's Mari Payton has more. CBP said the group was comprised of nationals of Honduras, El Salvador, and Guatemala. There were a total of 27 family units, 24 single adults, and one unaccompanied child. Border patrol agents continue to search for other individuals believed to have crossed the barrier, CBP said. The entire 3-hour video of the border breach was posted to Youtube. The breach activity begins around 2 hours and 35 minutes. Caution, the video contains strong language.